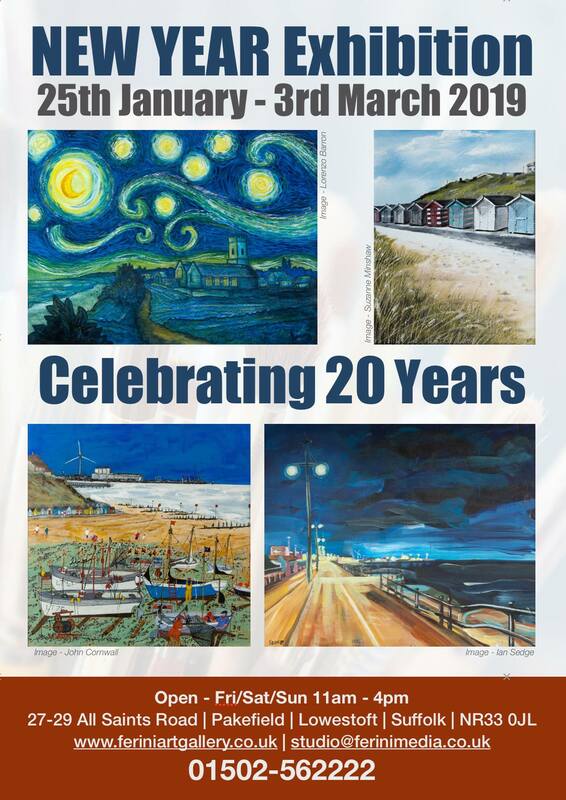 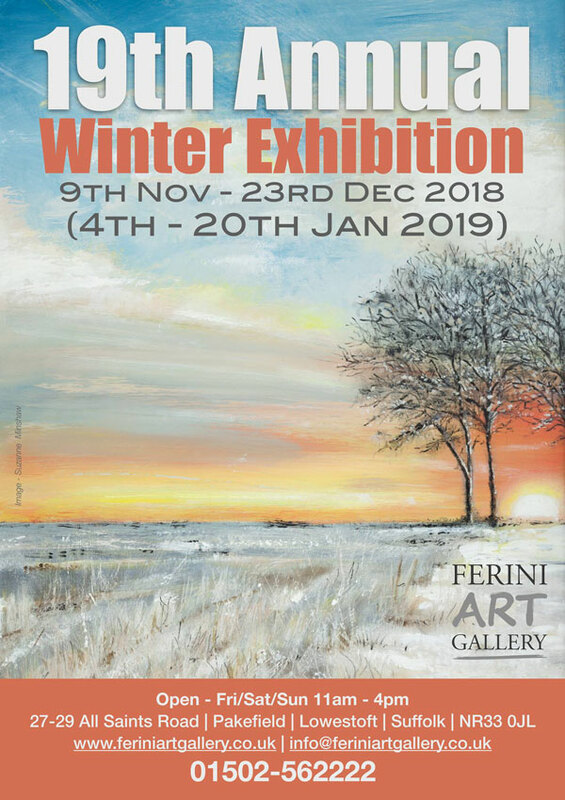 Ferini Art Gallery: New Year – New Exhibition – we’re celebrating 20 years! 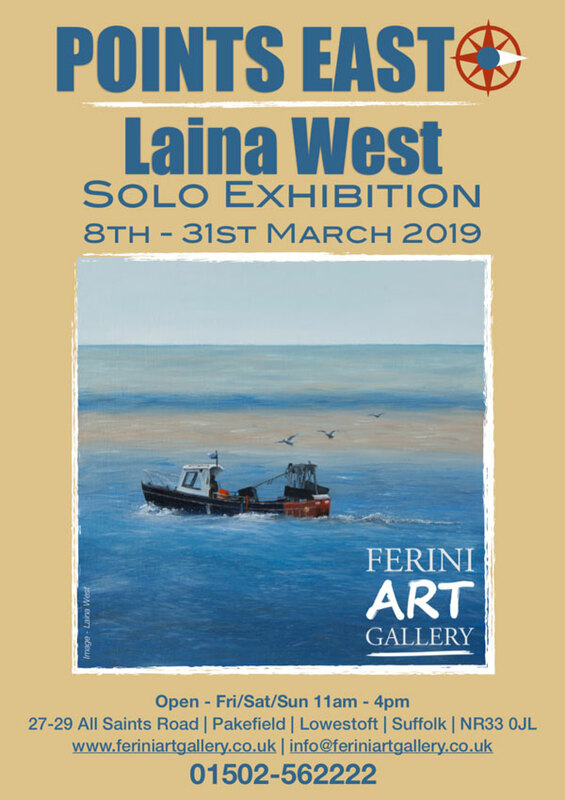 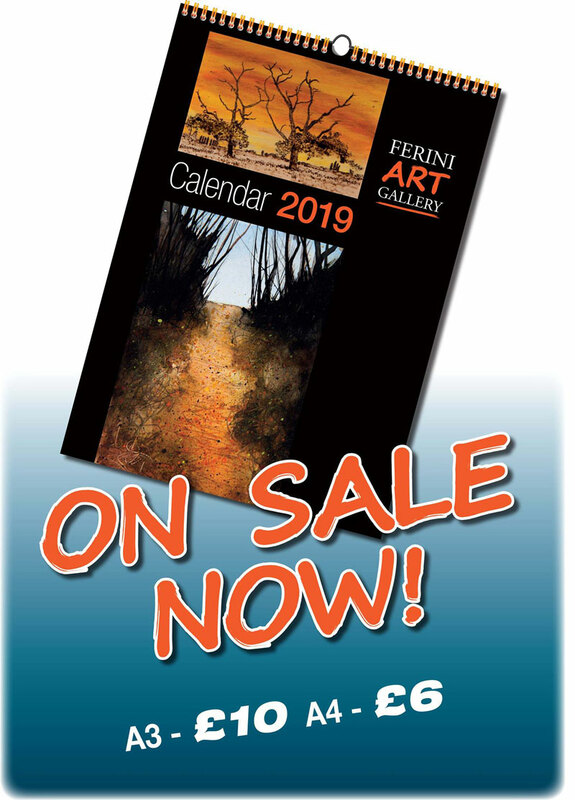 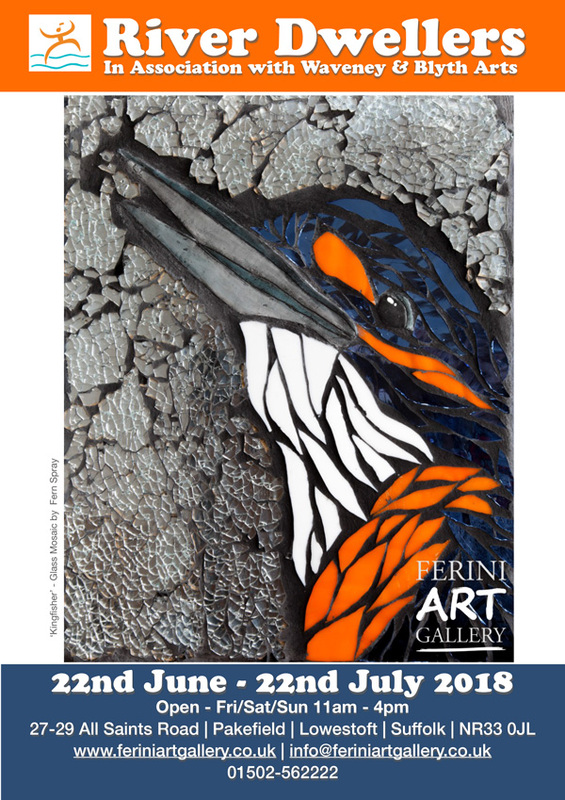 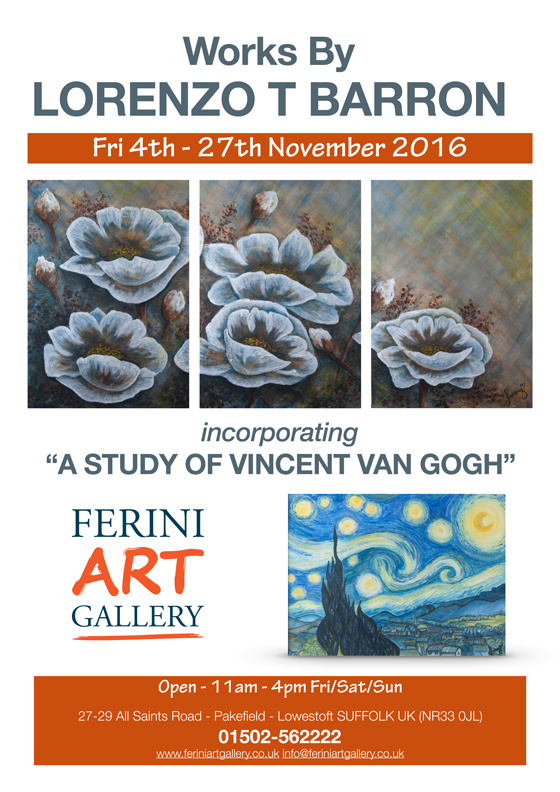 Ferini Art Gallery: New Year – New Art Exhibition – starts next week…we’re celebrating 20 years – now that’s an achievement – don’t you think? 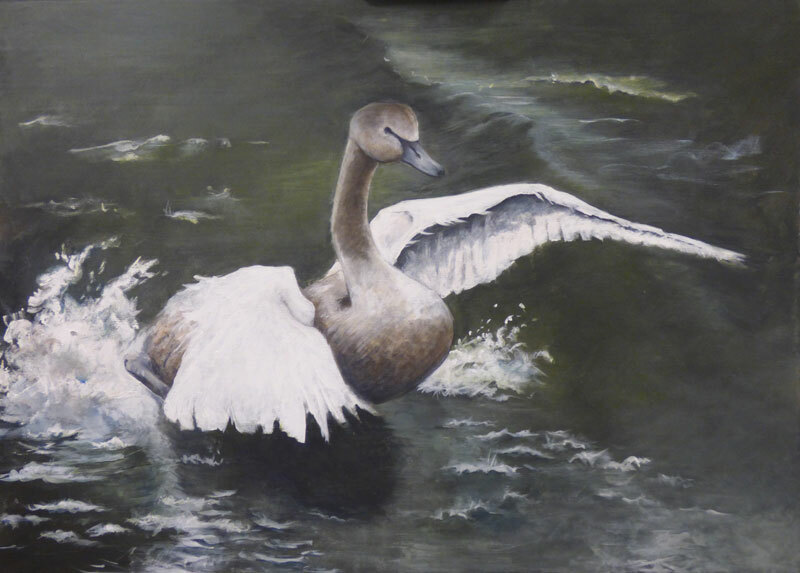 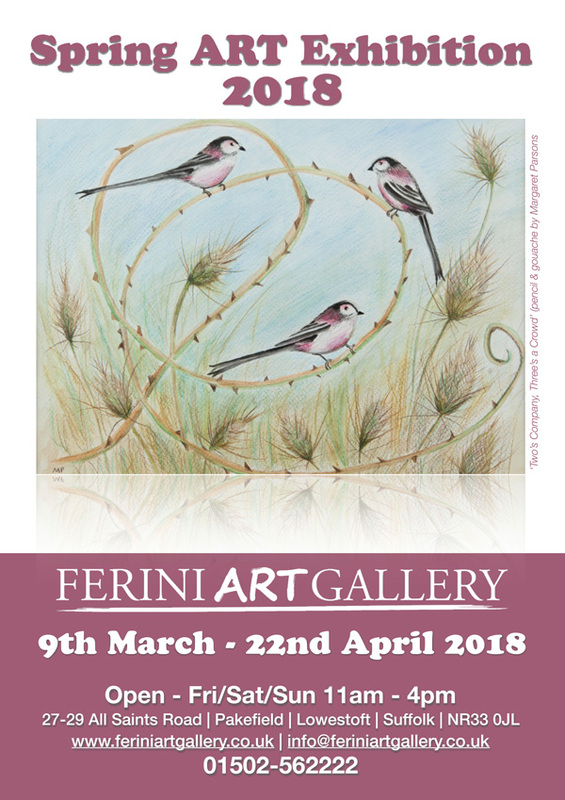 Norwich based artist, Sandra Derry presents her latest work, all inspired by the Norfolk countryside, at Fairhaven Woodland and Water Garden from Tuesday, February 12 to Sunday, February 17, open daily 10am to 4pm, with free entry. 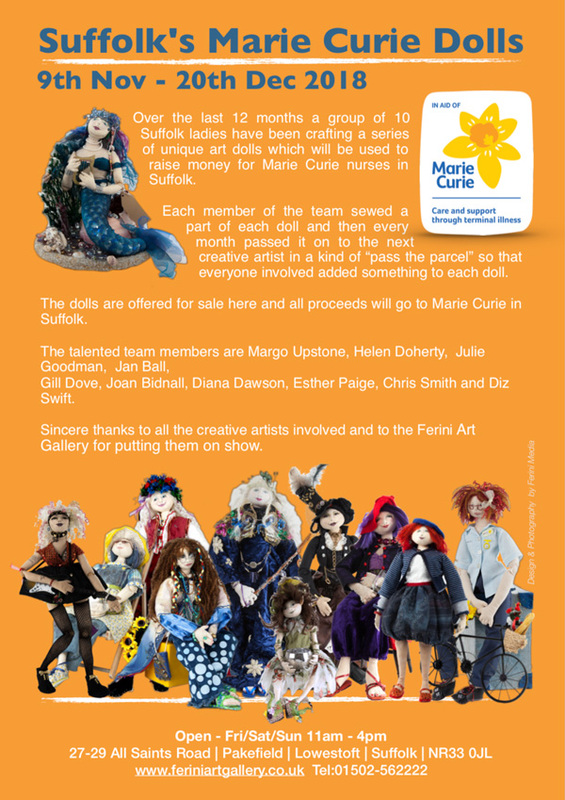 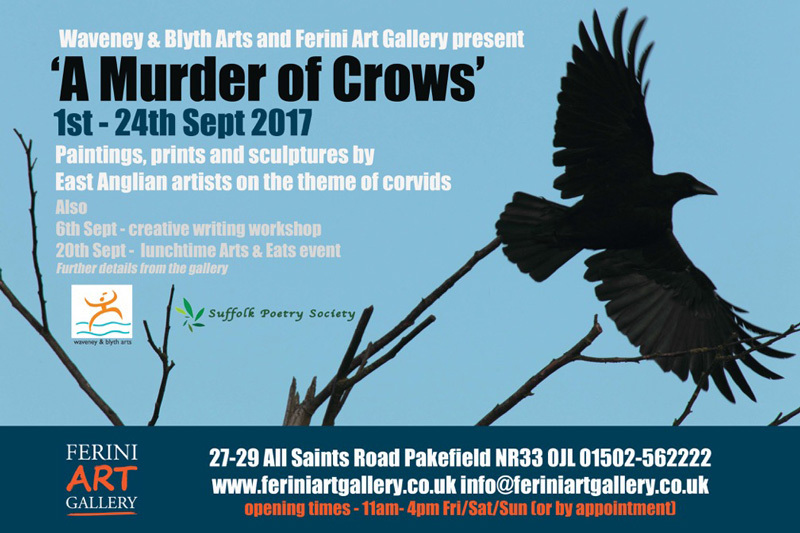 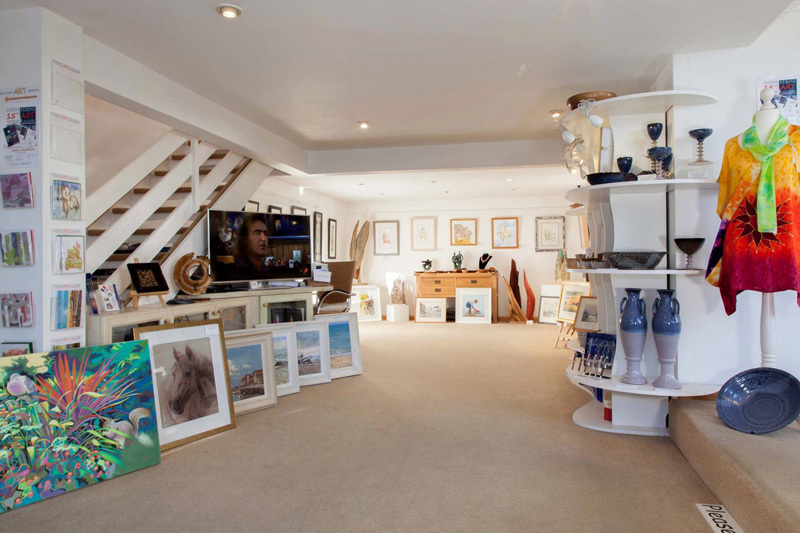 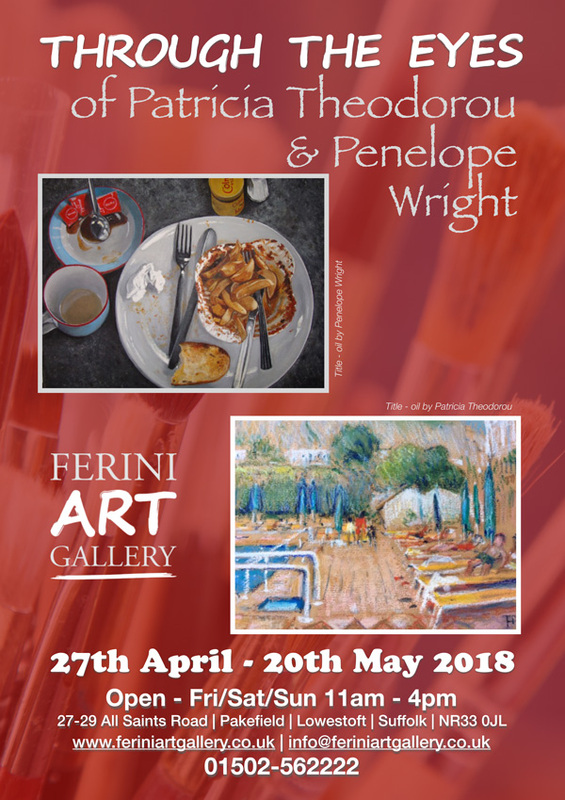 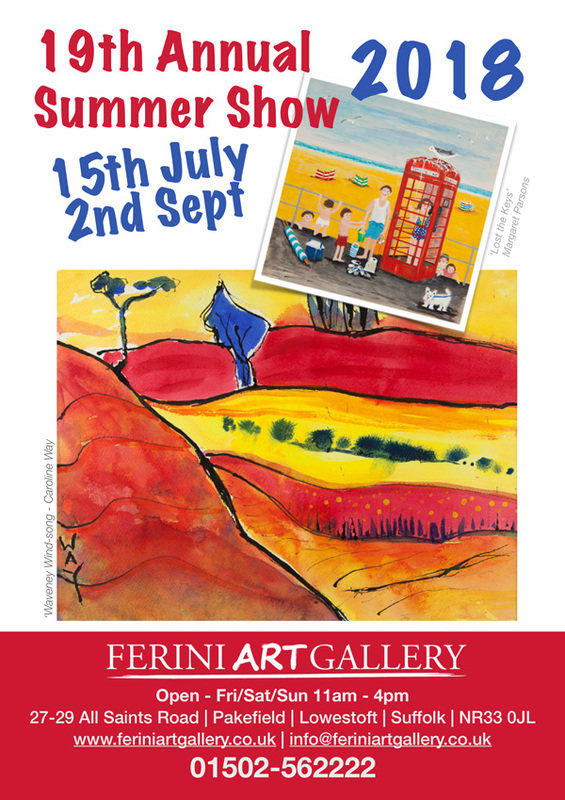 Ferini Art Gallery Exhibitions Raising Funds for Charities…. 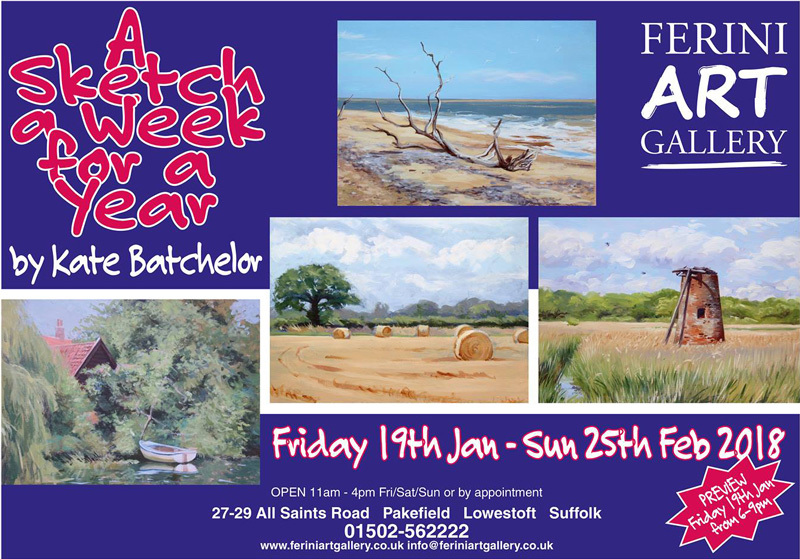 Ferini Art Gallery Exhibition: Our first exhibition of 2018 – and what a great start to the year with 52 sketches by Kate Batchelor. 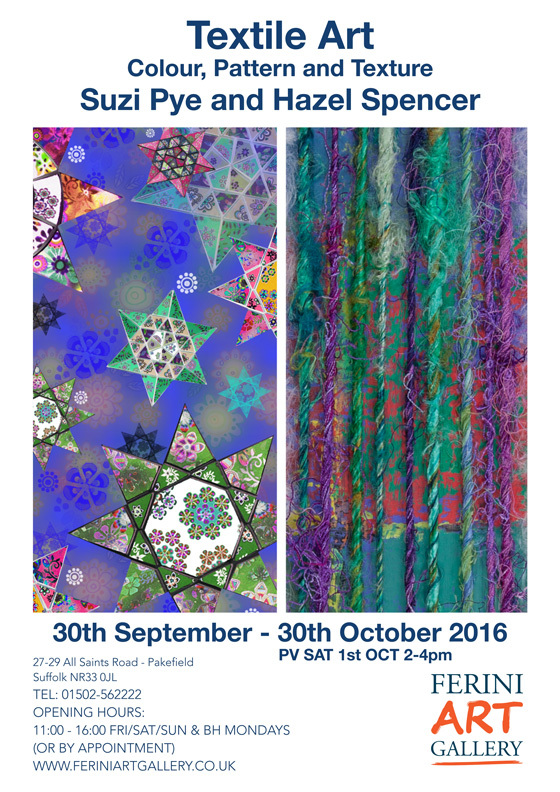 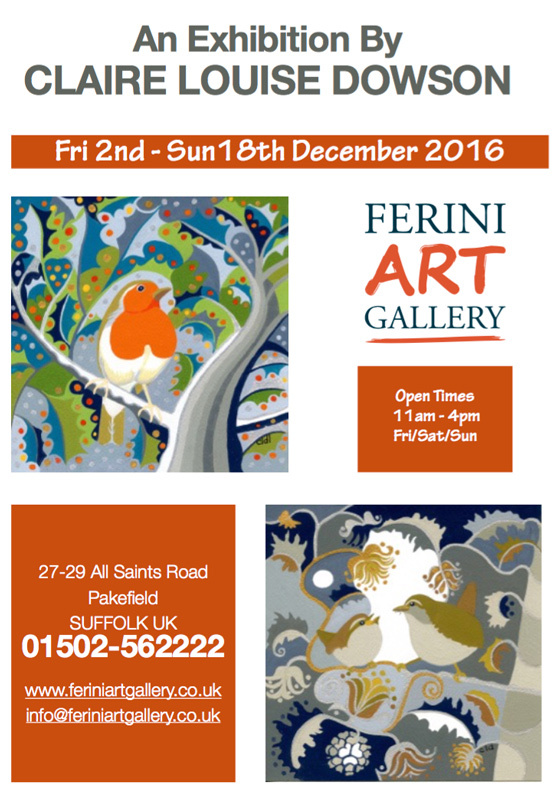 Suzi Pye & Hazel Spencer Textile Art Exhibition, Anglian Potters Art Exhibition, Ferini Art Gallery 2017 Calendar on SALE now!